This is a great idea! Pinning it now! 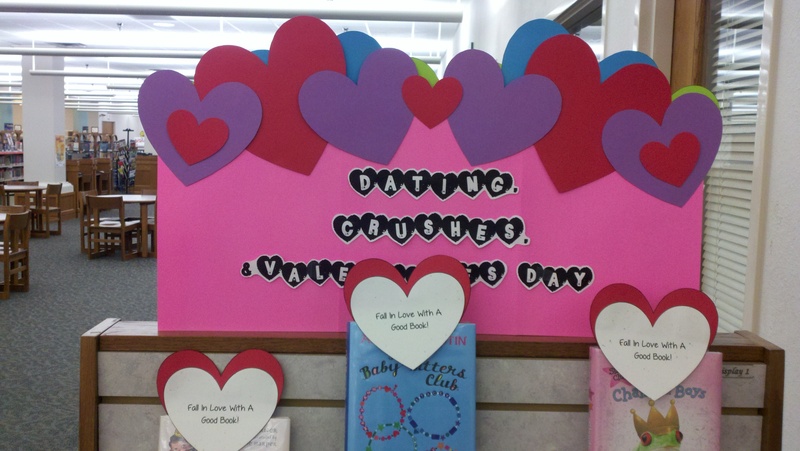 I work at Clyde Public Library in Clyde, OH and I did an adult version of this display this past Valentine’s Day. 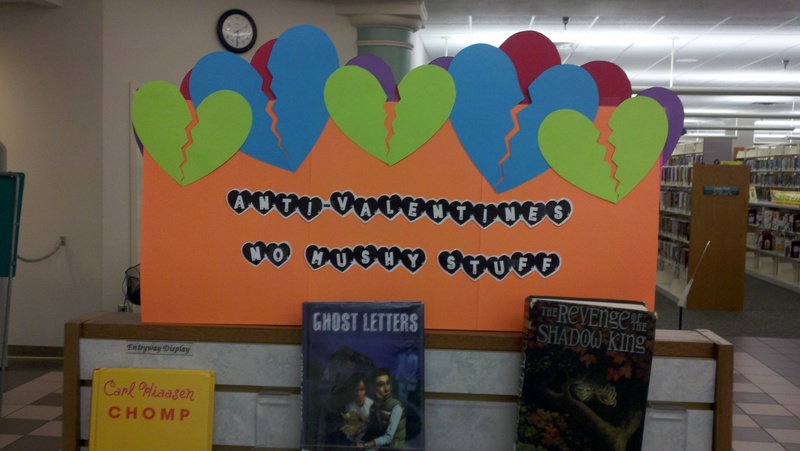 I had on one side romance books and relationship advice books for the “true romantic”, and the other side was true crime books for the “anti-romantic”. Our patrons loved it!